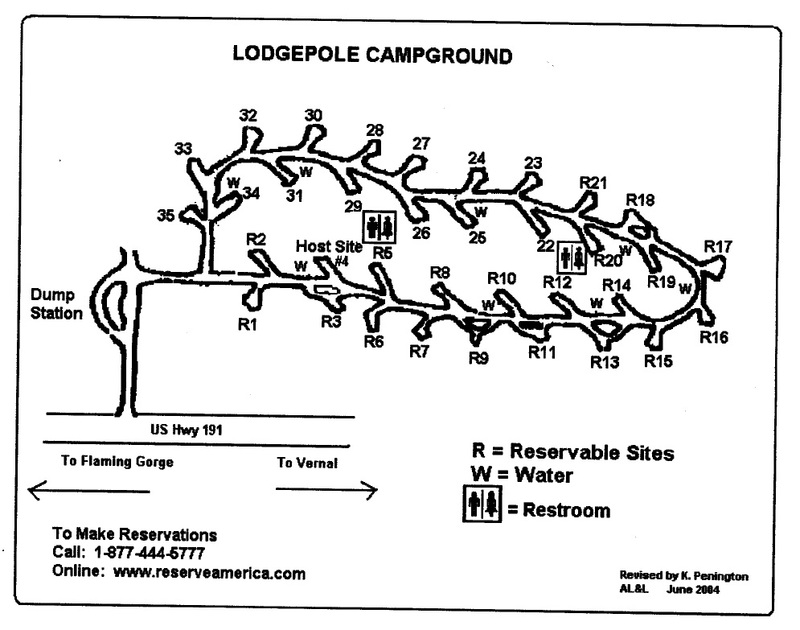 Lodgepole campsites have partial shade from a forest of quaking aspen dotted with pine. 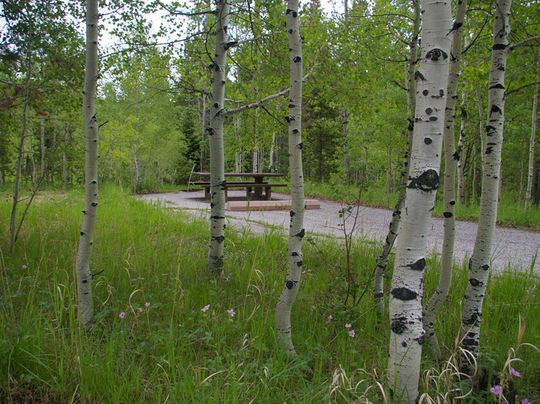 Sites are equipped with picnic tables and campfire rings with grills. Vault toilets, garbage disposal and drinking water are provided. Flaming Gorge Reservoir is less than 10 miles from the campground and is well known for its world-class fishing for lake, brown and rainbow trout. Boating, water skiing, jet skiing, canoeing, kayaking, swimming and scuba diving are also popular activities. Cedar Springs Marina is 3.5 miles from the campground.